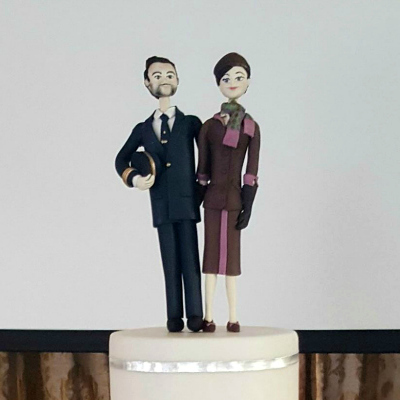 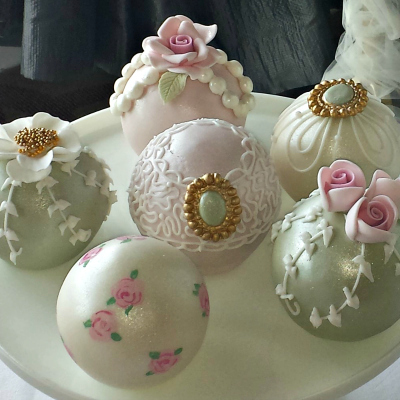 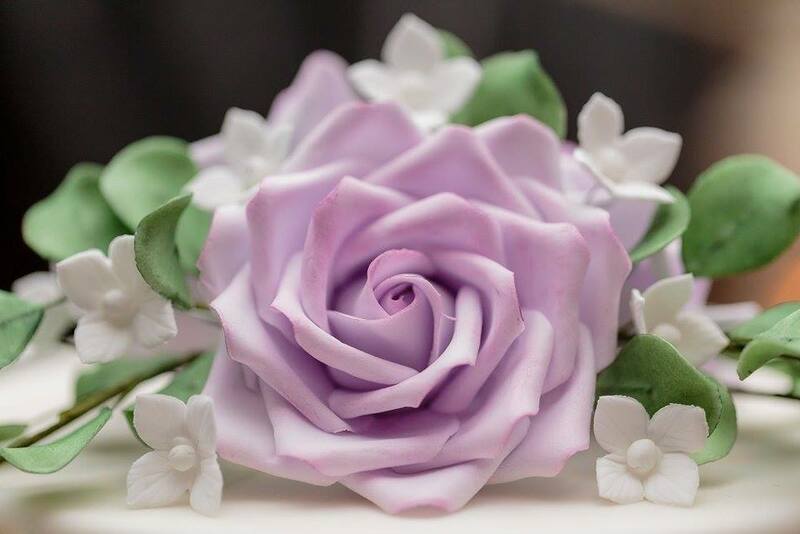 All of our wedding cakes are bespoke and prices vary greatly depending on the intricacy of design, size and flavour. 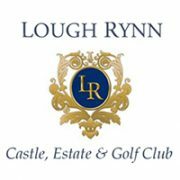 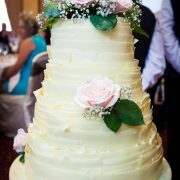 We will happy to give you an estimate once you have contacted us using our wedding cake enquiry form. 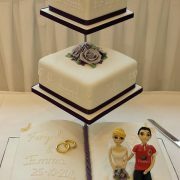 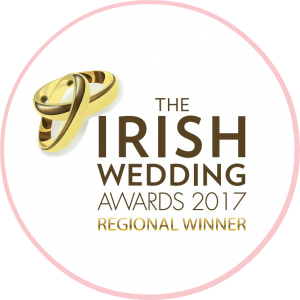 Bride & Groom Characters from €65 & Additional Wedding Characters from €20 each. 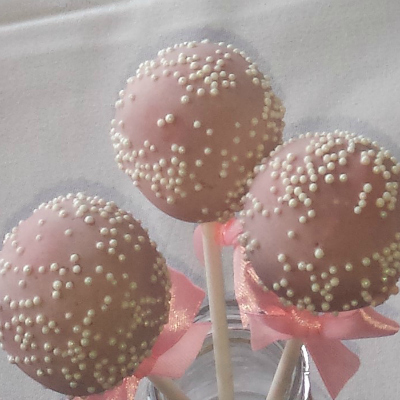 Fancy Wedding Cake Pops from €2 each & Plain Wedding Cake Pops from €1.50 each. 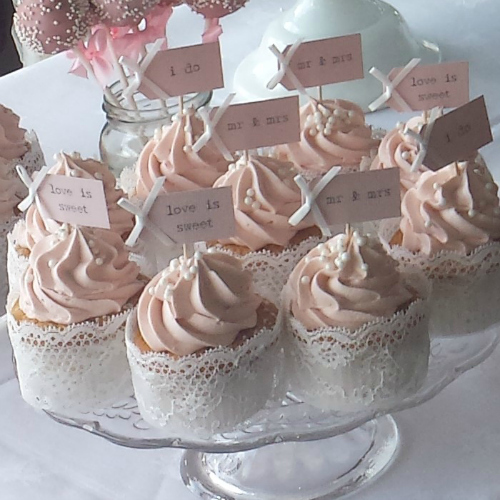 Cupcake Wrappers from €0.75 each. 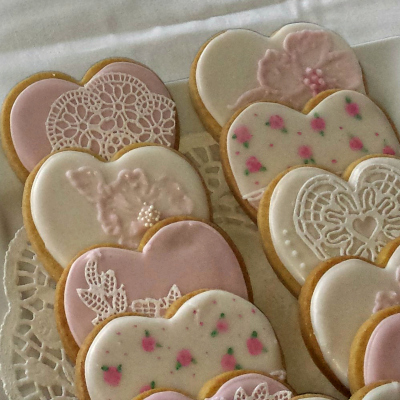 Iced Wedding Cookies from €1.50 each. 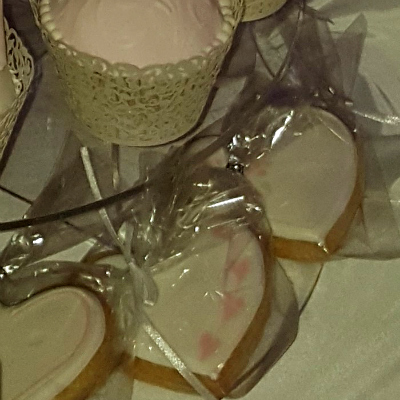 Gift Cellophane Bags with Ribbon Ties from €1 each & Gift Tags from €1 each.